Editor's Note: IT'S ABOUT FLIPPIN' TIME! 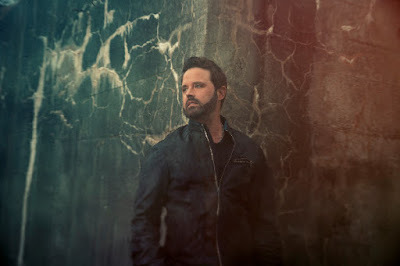 When powerhouse country vocalist Randy Houser released ballad “Like A Cowboy,” it was dubbed by Taste of Country as "a pure, unencumbered vocal showcase [...] for country fans who just like to hear a great vocalist at his best." The powerful single, released on his third album How Country Feels, garnered Houser his third career nomination earlier today (Wednesday) for the 49th Annual CMA Awards. “Like A Cowboy,” which Houser wrote with Brice Long, highlights the Stoney Creek Records recording artist’s epic voice and sense of drama. The soaring ballad was the fourth in a run of four Top 5 singles from How Country Feels, with the first three – “How Country Feels,” “Runnin’ Outta Moonlight,” and “Goodnight Kiss” -- scoring consecutive No. 1 titles. “Song of the Year honors the craft of songwriting, which is the foundation of what we do as country artists, so it’s really special to be recognized,” Houser added. “This song means a lot to me personally. It’s one of my favorite songs that I have ever written. It’s a song that I’m proud of and made a huge impact on the live show. And I owe that to country radio for getting it out there for fans to hear." Houser’s latest single, “We Went,” is climbing the charts and has a smokin’ fun video that features car chases, romantic moments and a little Robin Hood action. It is the first taste of new music from a forthcoming album, which will be his fourth overall and second for Stoney Creek Records. Houser will kick off his first headlining arena tour, aptly called the We Went Tour, with Frankie Ballard and special guest Craig Campbell in mid-November after a summer spent on a star-making turn opening for Luke Bryan to universal praise. The We Went Tour tour will kick off Nov. 20 in Corbin, Kentucky. Thursday, Dec. 17 – The Rave - Milwaukee, Wis.
Additional dates for the We Went Tour will be announced soon.